What Is a Master License for Music Recordings? A master license gives the license holder the right to use a recorded piece of music in a media project such a film, TV show, commercial, or another visual creation or audio project. A master license is obtained from the person who owns the recording, which is the party that financed the recording. Usually, these rights reside with the record label if not the independent artist. Obtaining a master license is only the first step, because in order to use the track in its entirety, a synchronization or sync license is needed in addition. A master license differs from a sync license in that a sync license gives the license holder the right to use the composition and re-record a song for use in a media project, while a master license gives the license holder the right to use a previously recorded song in a media project. A sync license from the publisher is usually required in conjunction with a master license from the master owner to use a preexisting version of a song with a visual project. A master license can only be issued for one song at a time. Even if someone wants to use an entire album in a project, a license must be obtained for each song individually. Several entities, including record companies, often share ownership of a piece of music, so everyone has to approve the use of the master recordings that they own jointly. This agreement covers the scope of how the music will be used, including the right to play or perform the music publicly. Compensation, screen credit, and representations and warranties by the musician and producer comprise additional terms included in the agreement, according to RocketLawyer.com. Conflicts are bound to arise when the record label owns the master. For instance, if you'd be satisfied with a licensing fee of $5,000, but the record label owning the master and perhaps even the copyright demands $20,000. If that's not in the client's budget, they'll turn it down and find another option, leaving the record company in the cold. 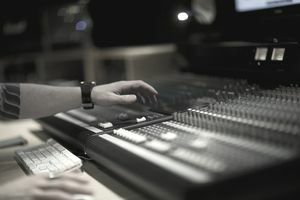 In a typical record deal, giving up master rights is the way in which a musician secures the financial support of the label to finance the recording and album release. If you actually repay the label’s investment (your advance) through record sales, or earned artist royalties, a process called recoupment, then you may share in some of the master license revenues. When signing a record deal, you can negotiate for the return or reversion of master ownership to you after a set period. An album typically has a lifespan of one to three years before an artist releases the next one, so you can request that ownership revert to you after perhaps two to five years. Of course, it will then be up to you to negotiate any licensing deals as the label would be out of the picture. In this model, an independent musician who doesn't want to deal with the music licensing business makes a deal with the label to serve as the master licensing representative. This master license deal gives the label a cut in the range of 15 percent to 25 percent of licensing earnings, while allowing the artist to retain a large revenue share in addition to control of master recordings. Do You Need a Needle Drop License for the Music Your Project Is Using?